A mobile exhibition examining social issues through the work of young artists has launched in Kyrgyzstan and is set to travel throughout the country. 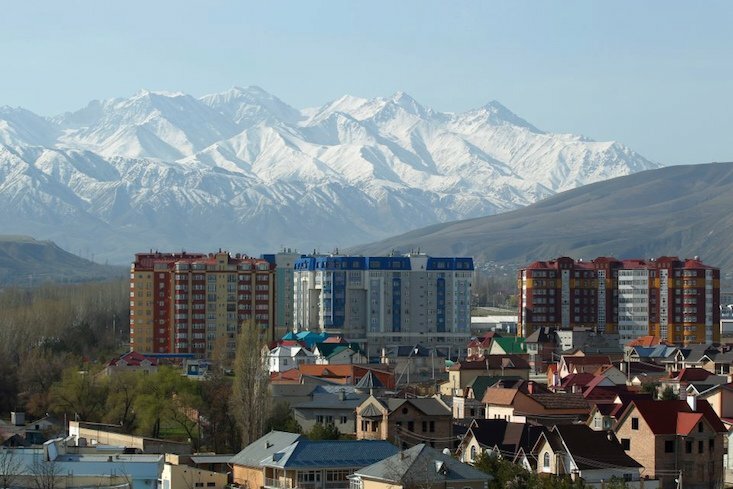 The exhibition, entitled Problems of modern society through the eyes of youth, features 30 artists and will visit each of Kyrgyzstan’s seven provinces. The works presented are of a satirical nature and highlight the idea of bringing together diverse groups in society with universal human values and a desire to be part of a mechanism for positive change in the country. Forming part of the JashtarCamp project, the largest youth conference in Central Asia, the purpose of the tour is to highlight and demonstrate contemporary social issues through art, and in particular to convey the opinions of young people in Kyrgyzstan on various issues in society. The exhibition began on Wednesday in the town of Talas, and will spend four days in each province. At the end of the tour, the exhibition will be presented at the JashtarCamp youth conference in Bishkek, the capital of Kyrgyzstan.